Get Post-grunge essential facts below. View Videos or join the Post-grunge discussion. Add Post-grunge to your PopFlock.com topic list for future reference or share this resource on social media. Post-grunge is a derivative of grunge and a style of alternative rock and hard rock that began in the 1990s. Originally, was an almost pejorative label used to describe bands that emulated the grunge sound. During this time, bands like Bush, Candlebox and Collective Soul were viewed as post-grunge. In the late 1990s, post-grunge morphed into a more clearly defined style that married the sound and aesthetic of grunge with a more mainstream approach. rose to prominence in the 1990s and continued to remain popular in the 2000s. Post-grunge bands such as , Puddle of Mudd, Staind, Nickelback, Creed and Matchbox Twenty all achieved mainstream success. During the 1990s, a post-grunge sound emerged which emulated the attitudes and music of grunge, particularly its thick, distorted guitars, but with a more commercially accessible tone. 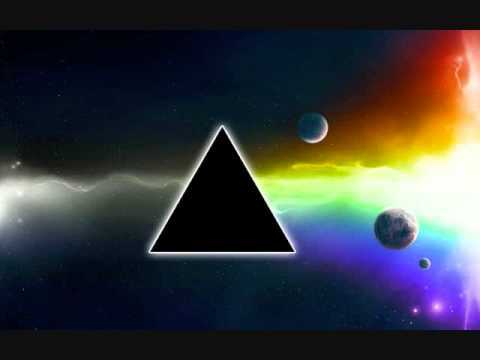 Unlike a lot of early grunge bands, post-grunge bands often worked through major record labels and incorporated influences from a variety of musical genres including: jangle pop, , ska revival, alternative metal and classic rock. Post-grunge music tends to be in mid-tempo and is noted for having "a polished, radio-ready production". Grierson of About.com wrote that musically, post-grunge bands "split the difference between plaintive ballads and aggressive rockers, resulting in songs that combine the two extremes into a sad-eyed, propulsive middle ground".Post-grunge tends to feature the "...same kind of melody as...bubblegum pop" and pop song structures. 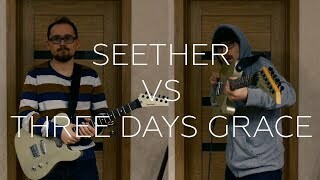 Sometimes music features both an electric guitar and an acoustic guitar playing simultaneously.Post-grunge tends to have production quality that is much higher and cleaner than grunge. A "major rift" between grunge and is in the lyrical substance of the music; grunge expressed emotion through loose metaphors or third-person narratives, while post-grunge was known for being direct and blunt. While describing lyrics that are common in , Sasha Geffen of Consequence of Sound wrote that "plunged directly into the Geffen wrote that most post-grunge songs that achieved mainstream success "call after a prospective or past companion in the first person". Post-grunge lyrics also tend to be about topics such as relationships, romance and drug addiction. According to Geffen, "grunge's frontmen posed with their addictions; songwriters sought redemption for them". Geffen states that post-grunge songs "fit the mold of songs made for...teenage and pre-teen girls" who were "longing for a distant someone", and the songs "wore signs of femininity" which she posits may be why the "...post-grunge moment pissed off so many angry dudes." According to Geffen, artists such as Alanis Morissette, No Doubt and Sarah McLachlan all "crystallized the songwriting strategy that would form the emotional core of the post-grunge moment". British band Bush (pictured) were described by Matt Diehl of Rolling Stone as "the most successful and shameless mimics of Nirvana's music". Creed and Nickelback espoused a more conventional, almost conservative worldview built around the comforts of community and romantic relationships. Ironically, this attitude was diametrically opposed to the antisocial angst of the original grunge bands, who railed against conformity and instead explored troubling issues such as suicide, societal hypocrisy and drug addiction. Grierson also wrote, "Post-grunge was a profitable musical style, but bands like Nirvana and Pearl Jam were beloved partly because of their perceived integrity in avoiding the mainstream. Post-grunge, by comparison, seemed to exist in order to court that very audience." Perhaps not surprisingly, because these bands seemed to be merely ripping off a trendy sound, critics dismissed them as bandwagon-jumpers. Tellingly, these bands were labeled almost pejoratively as 'post-grunge', suggesting that rather than being a musical movement in their own right, they were just a calculated, cynical response to a legitimate stylistic shift in rock music. Live, one of the first post-grunge bands, performing in 2013. Collective Soul and Live are two other bands categorized as post-grunge that emerged along with Bush and Candlebox. Bush, Candlebox, Collective Soul and Live all achieved mainstream success; Candlebox's self-titled album was certified by the Recording Industry Association of America (RIAA) and, according to Nielsen SoundScan, sold at least 4,000,000 copies. Its song "Far Behind" peaked at number 18 on the Billboard Hot 100. Collective Soul's song "Shine" peaked at number 11 on the same chart and was certified gold by the RIAA in September 1994. Collective Soul's album Hints Allegations and Things Left Unsaid was certified 2x platinum by the RIAA, and the band's self-titled album released in 1995 was certified 3x platinum by the RIAA. Bush's debut studio album Sixteen Stone was certified by the RIAA and the band's second studio album Razorblade Suitcase, which peaked at number 1 on the Billboard 200, was certified 3x platinum by the RIAA. Carl Williott of Stereogum called Bush's album Sixteen Stone "a harbinger of pop dominance". 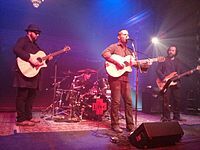 Live's album Throwing Copper was certified 8x platinum by the RIAA, and the band's album Secret Samadhi was certified 2x platinum by the RIAA. Both Throwing Copper and Secret Samadhi peaked at number 1 on the Billboard 200. 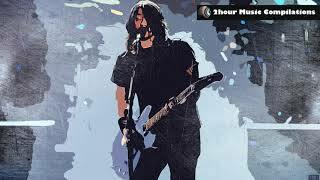 In 1995, former Nirvana drummer Dave Grohl's newer band Foo Fighters helped to popularize post-grunge and define its parameters, becoming one of the most commercially successful rock bands in the United States, aided by considerable airplay on MTV. 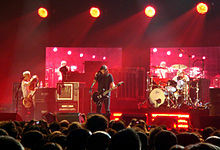 Like grunge bands such as Nirvana, Pearl Jam, Soundgarden, and Alice in Chains, the post-grunge band Candlebox was from Seattle, but post-grunge was marked by a broadening of the geographical base of grunge, with bands categorized as post-grunge such as York, Pennsylvania's Live,Atlanta, Georgia's Collective Soul, Australia's Silverchair and England's Bush, who all paved the way for later post-grunge bands. Female solo artist Alanis Morissette's 1995 album Jagged Little Pill, which is considered a post-grunge album, became a hit and was certified 16x platinum by the RIAA in 1998 having sold at least 15,000,000 copies in the United States. Matchbox Twenty's debut album Yourself or Someone Like You, which was released in 1996, was a success during the late 1990s; it was certified 12x platinum by the RIAA. With the first wave of post-grunge bands losing popularity, post-grunge morphed in the late 1990s, continued being popular in the late 1990s, and was still popular during the first decade of the 2000s with bands such as Creed, Three Days Grace, 3 Doors Down, Puddle of Mudd, Staind,Audioslave,Incubus,Hoobastank and Nickelback, abandoning some of the angst and anger of the original movement for more conventional anthems, narratives and romantic songs. They were followed in this vein by newer acts such as Shinedown and Seether. Creed's albums My Own Prison, released in 1997, and Weathered, released in 2001, were both certified by the RIAA.Weathered sold at least 6,400,000 copies in the United States. Creed's album Human Clay, released in 1999, was certified diamond by the RIAA and sold at least 11,690,000 copies in the United States.Human Clay song "With Arms Wide Open" peaked at number 1 on the Billboard Hot 100. Nickelback broke into the mainstream in the early 2000s; their song "How You Remind Me" peaked at number 1 on the Billboard Hot 100. The Nickelback album that featured the song, Silver Side Up, was certified 6x platinum by the RIAA and sold at least 5,528,000 copies in the United States. Nickelback's next album, The Long Road, was certified 3x platinum by the RIAA and sold at least 3,591,000 copies in the United States. The album's song "Someday" peaked at number 7 on the Billboard Hot 100 and number 1 on both the Canadian Singles Chart and the Adult Top 40 chart. Nickelback's album All the Right Reasons was certified 6x platinum by the RIAA fourteen months after being released. Four years after being released, the album was certified 8x platinum by the RIAA. In March 2017, All the Right Reasons was certified diamond by the RIAA. Staind's album Break the Cycle peaked at number 1 on the Billboard 200 and sold at least 716,000 copies in its release week, and, According to Nielsen SoundScan, sold at least 4,240,000 copies in 2001.Break the Cycle song "It's Been Awhile" peaked at number 5 on the Billboard Hot 100. 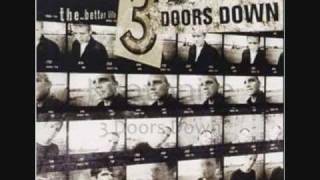 3 Doors Down's debut studio album The Better Life was certified 6x platinum by the RIAA and sold at least 5,653,000 copies in the United States.The Better Life song "Kryptonite" peaked at number 3 on the Billboard Hot 100 and number 1 on the Mainstream Top 40 chart. 3 Doors Down's second studio album Away from the Sun was certified by the RIAA and sold at least 3,863,000 copies in the United States.Lifehouse achieved mainstream success in the early 2000s; their song "Hanging by a Moment", which peaked at number 2 on the Billboard Hot 100, was the most played song on the radio in 2001. 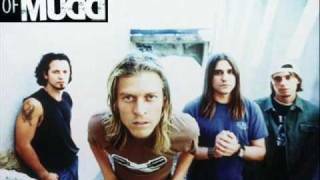 Puddle of Mudd broke into the mainstream in the early 2000s; their album Come Clean was certified by the RIAA and the album's songs "Blurry" and "She Hates Me" both reached very high positions on the Billboard Hot 100. "Blurry" peaked at number 5 on the Billboard Hot 100 and "She Hates Me" peaked at number 13 on the Billboard Hot 100. "She Hates Me" also peaked at number 7 on the Top 40 Mainstream chart. The band Default became popular with their song "Wasting My Time". It peaked at number 13 on the Billboard Hot 100. The post-grunge band Cold's song "Stupid Girl" peaked at number 87 on the Billboard Hot 100. band Crossfade's song "Cold" peaked at number 81 on the Billboard Hot 100, number 23 on the Top 40 Mainstream chart, number 39 on the Pop 100 chart, number 28 on the Pop 100 Airplay chart, and number 57 on the Hot Digital Songs chart. It was certified gold by the RIAA in December 2006. Crossfade's was certified platinum by the RIAA in August 2005. Hoobastank achieved mainstream success during the 2000s; their album The Reason sold 2,300,000 copies and was certified 2x platinum by the RIAA in 2004. Three Days Grace broke into the mainstream during the 2000s; their song "Just Like You" peaked at number 55 on the Billboard Hot 100 and number 1 on both the Mainstream Rock chart and the Modern Rock Tracks chart. The Three Days Grace song "I Hate Everything About You" peaked at number 55 on the Billboard Hot 100 and number 28 on the Pop Songs chart. In 2006, Three Days Grace released their album One-X, which was certified 3x platinum by the RIAA. The album's song "Pain" peaked at number 44 on the Billboard Hot 100, number 47 on the Pop 100 chart and number 35 on the Hot Digital Songs chart.One-X song "Never Too Late" peaked at: number 71 on the Billboard Hot 100, number 12 on the Top 40 Mainstream chart, number 19 on the Pop 100 chart, number 17 on the Pop 100 Airplay chart, number 30 on the Hot Digital Songs chart, number 18 on the Hot Canadian Digital Singles chart, number 13 on the Adult Top 40 chart and number 1 on the Hot Adult Top 40 Recurrents chart.Daughtry broke into the mainstream in 2006 with the release of their self-titled debut album. Stephen Thomas Erlewine of AllMusic noted the sound of the album. It sold at least 5,040,000 copies in the United States. The band Flyleaf's song "All Around Me" peaked at: number 40 on the Billboard Hot 100, number 12 on the Top 40 Mainstream, number 17 on the Pop 100, number 15 on the Pop 100 Airplay, number 38 on the Hot Digital Songs and number 23 on the Adult Top 40. Flyleaf's self-titled album was certified platinum by the RIAA. ^ a b c d e f g h i Grierson, Tim (March 18, 2017). "Post-Grunge. A History of Post-Grunge Rock". About.com. Retrieved 2017. ^ a b c d e f "Post-Grunge". AllMusic. Archived from the original on 14 February 2017. Retrieved 2012. ^ Grierson, Tim. 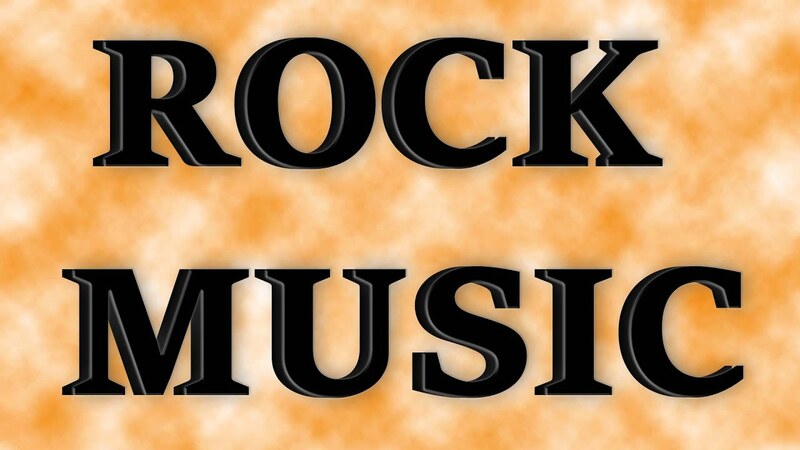 "Rock Genres - A List of Rock Genres". About.com. ^ a b c d e f g h i Geffen, Sasha (7 October 2013). "In Defense of Post-Grunge Music". Consequence of Sound. ^ Thomas, Jeremy (15 November 2014). 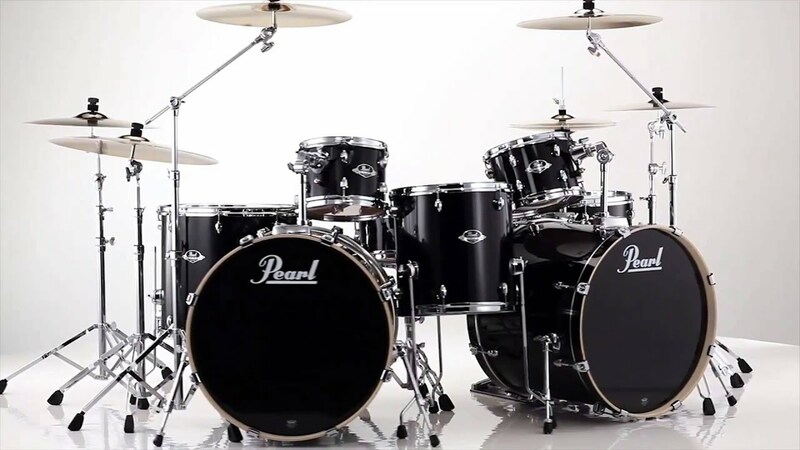 "The 8 Ball: Top 8 Post-Grunge Bands". 411MANIA. ^ Marko, Aaron J. (20 March 2014). "10 Laughable Post-Grunge Bands You Won't Believe Are Still Going". WhatCulture. ^ a b Steininger, Adam (23 August 2013). "The 10 Worst Post-Grunge Bands". LA Weekly. ^ Diehl, Matt (13 November 1996). "Review: Bush - Razorblade Suitcase". Archived from the original on 16 February 2007. Retrieved 2017. ^ Prato, Greg (2009). "CHAPTER 28 - Everything is not OK anymore". Grunge Is Dead: The Oral History of Seattle Rock Music. Toronto: ECW Press. p. 478. ISBN 1-55022877-3. ISBN 978-1-55022877-9. ^ Strong, Catherine (2011). "Grunge is Dead (p. 20)". Grunge: Music and Memory. Farnham: Ashgate. p. 179. ISBN 1-40942376-X. ISBN 978-1-40942376-8. ^ "'Grunge Is Dead' - An Interview with Greg Prato". UGO Entertainment. 29 April 2009. Archived from the original on 1 July 2011. Retrieved 2012. ^ Rothman, Robin (22 April 2002). "Layne Staley Found Dead". Rolling Stone. Jann Wenner. Retrieved 2012. ^ Azerrad, Michael (2012) [1st ed. 2001]. Our band could be your life. Scenes from the American indie underground 1981-1991. New York: Little, Brown. pp. 452-3. ISBN 0-31678753-1. ISBN 978-0-31678753-6. ^ Condran, Ed (26 February 2015). "Gavin Rossdale brings '90s grunge band Bush to Raleigh". The News & Observer. ^ Kaufman, Gil (2 June 1999). "Bush To Play U.S. Club Gigs". MTV. ^ Graff, Gary (1996). 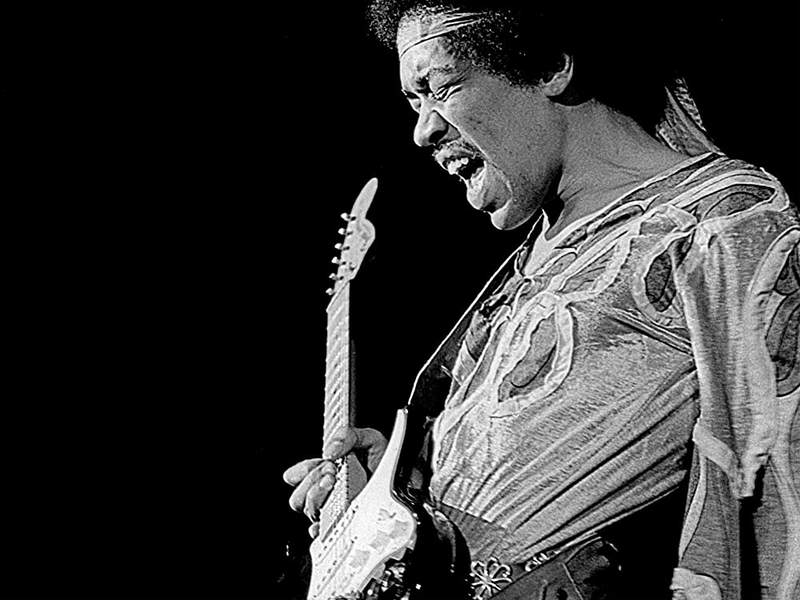 MusicHound Rock: The Essential Album Guide. Visible Ink Press. ISBN 9780787610371. Probably the most well-known grunge band to come out of England, Bush exploded onto the American music scene in 1994 with Sixteen Stone. 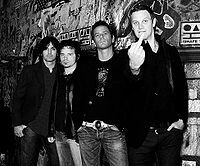 ^ "Candlebox - Biography & History". AllMusic. ^ Vrabel, Jeff (5 May 2008). "Candlebox To Release First Album In 10 Years". Billboard. 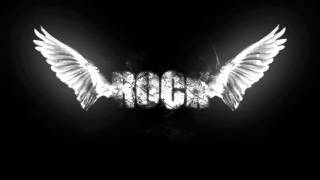 ^ "Candlebox - Candlebox - Awards". AllMusic. ^ "Collective Soul - Awards". AllMusic. ^ "Bush - Chart history". Billboard. ^ Williott, Carl (5 December 2014). "Sixteen Stone Turns 20". Stereogum. ^ "Live - Awards". AllMusic. ^ Bogdanov, V.; Woodstra, C.; Erlewine, S. T. (2002). All Music Guide to Rock. The Definitive Guide to Rock, Pop, and Soul (3rd ed.). Milwaukee: Backbeat Books. p. 423. ISBN 0-87930653-X. ISBN 978-0-87930653-3. ^ Ankeny, Jason. "Live | Music Biography, Credits and Discography". Allmusic. Rovi Corporation. Archived from the original on 12 February 2013. Retrieved 2013. ^ Bogdanov, V.; Woodstra, C.; Erlewine, S. T. (2002). pp. 1344-7. ^ Bogdanov, V.; Woodstra, C.; Erlewine, S. T. (2002). p. 761. ^ Caulfield, Keith (26 June 2015). "Billboard 200 Chart Moves: Alanis Morissette's 'Jagged Little Pill' Hits 15 Million in U.S. Sales". Billboard. ^ True, Chris. "Staind | Music Biography, Credits and Discography". Allmusic. Rovi Corporation. Archived from the original on 21 January 2013. Retrieved 2013. ^ Wilson, MacKenzie. "Audioslave | Music Biography, Credits and Discography". Allmusic. Rovi Corporation. Archived from the original on 5 January 2013. Retrieved 2013. ^ Huey, Steve. "Incubus | Biography & History". Allmusic. Rovi Corporation. Archived from the original on 23 March 2016. Retrieved 2016. ^ Loftus, Johnny. "Hoobastank | Biography". AllMusic. Retrieved 2015. ^ Farber, Jim (16 November 2008). "Nickleback and David Cook releases mark the death of grunge". New York Daily News. Retrieved 2012. ^ Grein, Paul (16 May 2012). "Chart Watch Extra: Following Up A Monster". Yahoo! Music. ^ Caulfield, Keith (10 October 2014). "Adele's '21' Surpasses 11 Million In U.S. Sales". Billboard. ^ "Creed - Chart history". Billboard. ^ a b "Nickelback | Awards". AllMusic. ^ a b Grein, Paul (13 April 2011). "Week Ending April 10, 2011. Albums: Adele Is Everywhere". Yahoo! Music. Archived from the original on 24 April 2011. ^ a b "Staind | Awards". AllMusic. ^ Dansby, Andrew (30 May 2001). "Staind Break in at No. One". Rolling Stone. ^ Basham, David (4 January 2002). "Got Charts? Linkin Park, Shaggy, 'NSYNC Are 2001's Top-Sellers". MTV. ^ Cohen, Stephen J. (23 June 2014). "Top New Acts Since 2000". Yahoo! Music. ^ "3 Doors Down - Chart history (The Hot 100)". Billboard. ^ "3 Doors Down - Chart history (Pop Songs)". Billboard. ^ Trust, Gary (6 November 2009). "Ask Billboard: Swift's Latest 'Fearless' Feat". Billboard. ^ "Lifehouse - Chart history". Billboard. ^ Lamb, Bill. "Top 10 Pop Songs Summer 2001". About.com. ^ a b "Puddle of Mudd | Awards". AllMusic. ^ "Default - Chart history". Billboard. ^ "Cold | Awards". AllMusic. ^ "Crossfade | Awards". AllMusic. ^ Cohen, Jonathan (13 October 2008). "Hoobastank Eyeing January For New Album". Billboard. ^ a b c d "Three Days Grace | Awards". AllMusic. ^ Erlewine, Stephen Thomas. "Daughtry - Daughtry". AllMusic. ^ Caulfield, Keith (10 December 2015). "Adele's '25' Hits 5 Million Sold in U.S." Billboard. ^ "Flyleaf | Awards". AllMusic.